Hey all, thought I'd put up a few random thoughts today to clear my hobby head a little. After experimenting with the Citadel Spraygun and exploring the tubes for inspiration, I've found a site stocking some inexpensive airburshing kit which I'm pretty interested in. When I first got into the hobby all those years ago (man I'm getting old) my folks bought me an airbrush and compressor as a birthday gift, with the intention of using it for basecoating figures. However, having talked at some length with the guy in the store we got it from, he sold us completely the wrong stuff and, ultimately, it found it's way to the attic. This time around, I've done way more research and reckon it's worth another crack. There's no doubt that spray basecoats is the way to go and this method is opening up all sorts of opportunities to use colours I've always avoided. 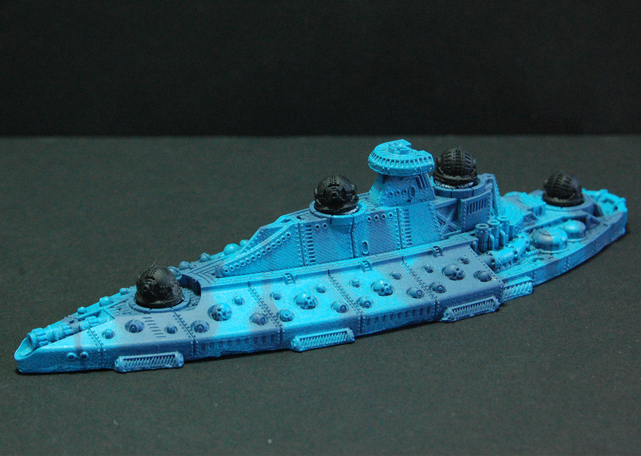 Case in point are these shots of several of my bro Olly's Covenant ships from Dystopian Wars. 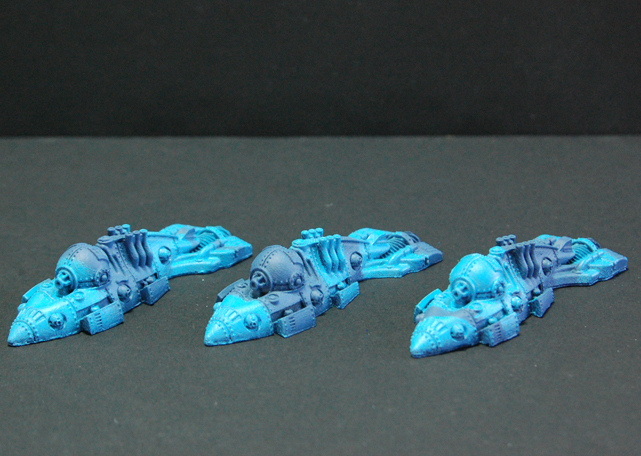 After applying a Chaos Black undercoat, all the vessels had two thin coats of Shadow Grey, followed by two thin layers of Ice Blue, sprayed on through Blu Tac masking to create an icy camo pattern. The turrets and other details can then be re-undercoated and painted up by brush. Using this method drastically cut painting time and gave a really effective result. In a complete change of tack, I thought I'd post this pic. This guy is the Space Marine Captain from the Black Reach set, with an experimental colour scheme I toyed with a while back. 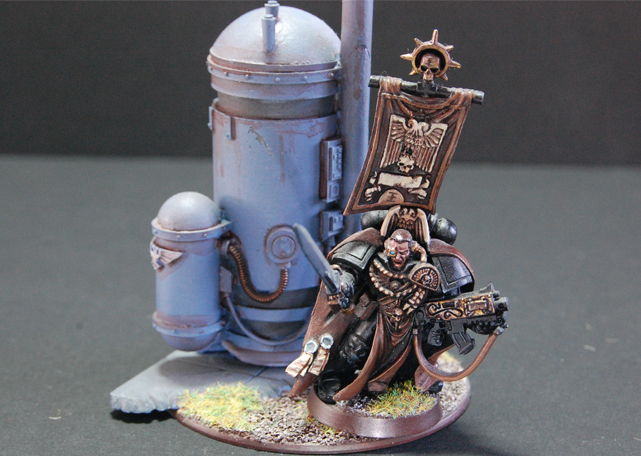 However, I'm thinking of revisiting and updating it, as I'm planning to raid the bits box and put together a Deathwatch Kill Team. I had thought of adding these to my 'Ripper Swarm' collection for my Tyranid force, but after reading a recent post on the GW site about the Kill Team scenario in the Battle Missions book, I think I'll build them as standard what-you-see-is-what-you-get marines and try and get a few small games in, to get back into the 40k scene. Also on the back burner are the huge number of metal figures I recently reclaimed and paint-stripped. I've been working on the classic Legion of the Damned figures, updating them a little, and have also acquired some of the new Dark Angels chapter pieces to kit out the old veteran models. The only other thing to add is that Black Scorpion Miniatures are clearing out their metal overstocks for £1 per figure, so head over and check out the site.